Distressed parents who did not receive the ashes of their babies after they were cremated want an apology after a report found no ashes were recovered in more than 50 cases. 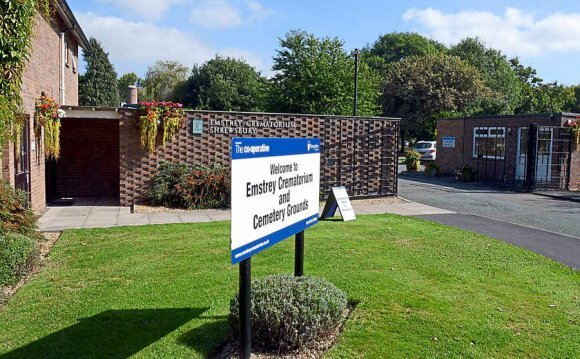 An inquiry into infant cremations at the Emstrey crematorium in Shrewsbury found that the techniques it used between 1996 and 2012 meant there were no ashes from the cremation of children under a year old that could be returned to families. The cremators used at Emstrey at the time did not have an automated special infant setting. Records show that from 2013 – when new cremators, new techniques, and a baby tray were introduced – to the end of 2014, ashes were recovered in all six infant cremations that were carried out. The inquiry, set up by the local council, found that while some parents understood at the time that they were unlikely to receive ashes they are now distressed to discover that had the cremation been conducted at another crematorium ashes would probably have been returned to them. Other parents did not at first understand that there would be no ashes and felt shocked, and sometimes angry, when they discovered this. In one case, of a slightly older child, the parents recalled that they had been told that there would be no ashes and only later discovered that in fact there had been ashes, which had been spread in the crematorium garden without their knowledge. The report said parents could not understand how a child’s body could be cremated through a competent and conscientious process but no ashes remained. Some families felt there was a “cavalier disregard” for their feelings by public officials, the report said. However, the report said staff felt they had carried out a sensitive job conscientiously and professionally in line with standards they were told to meet and using the equipment available to them. The report established that between January 2000 and December 2014, there were 57 infant cremations within the inquiry’s terms of reference. There were an additional two cases outside the age criteria but which parents asked to be included, and of these 59 cremations, 53 were conducted between 2000 and 2013. For 51 of these, ashes were not recovered, the report concluded. “This practice seems to have been accepted locally as the norm, ” it said. “Some parents, having learned that other crematoria would have returned ashes to them, feel not only distressed but also angry. “A number have emphasised to us that they now seek an apology from whomever was responsible for denying them their baby’s ashes. The report added: “There can surely be no more painful experience than losing one’s infant child. Parents who have lost their child at birth have vividly explained … how their joy, after building up for months, suddenly and unexpectedly turned to grief. What to do with cremation Remains?